John joined Greylock as a partner in 2011. Prior to Greylock, John was CEO of Mozilla, the organization behind Firefox, an open source Web browser used by more than 450 million people. 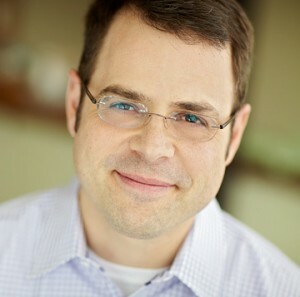 John also co-founded Reactivity, an enterprise security infrastructure company acquired by Cisco in 2007, where he served as founding CEO and later CTO. Earlier in his career, John held positions on the executive team at Trilogy Software and as a Senior Scientist in Apple’s research labs. John is currently on the Board of Directors of Citrus Lane, Clearslide, Code for America, Mozilla Corporation, and the Participatory Culture Foundation. He is a board observer at Tumblr, and led Greylock’s investment in Dropbox. John previously served on the boards of directors of TripIt (acquired by Concur in 2011), CenterRun (acquired by Sun Microsystems in 2003), and Reactivity (acquired by Cisco Systems in 2007). John holds a BS in Computer Systems Engineering and an MS in Computer Science with a focus on Human Computer Interaction, both from Stanford University. He is currently a Consulting Assistant Professor at Stanford’s d.school, and an adviser to the Stanford Technology Ventures Program as well as SSE Labs, an incubator at the University. He is a co-inventor on seven United States patents.